Click on Admin to view the Manage Teachers page. After you find the teacher that you are looking for, click Edit. 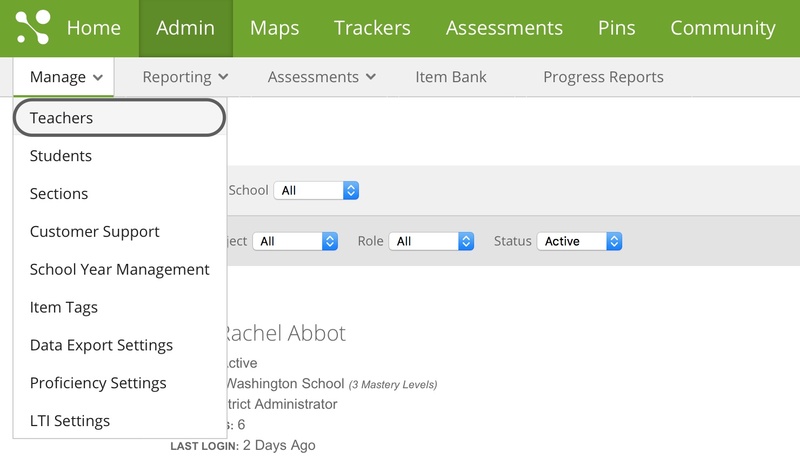 On the Edit Teacher page, you can change their name, email, school, role, permissions, and assigned grades. 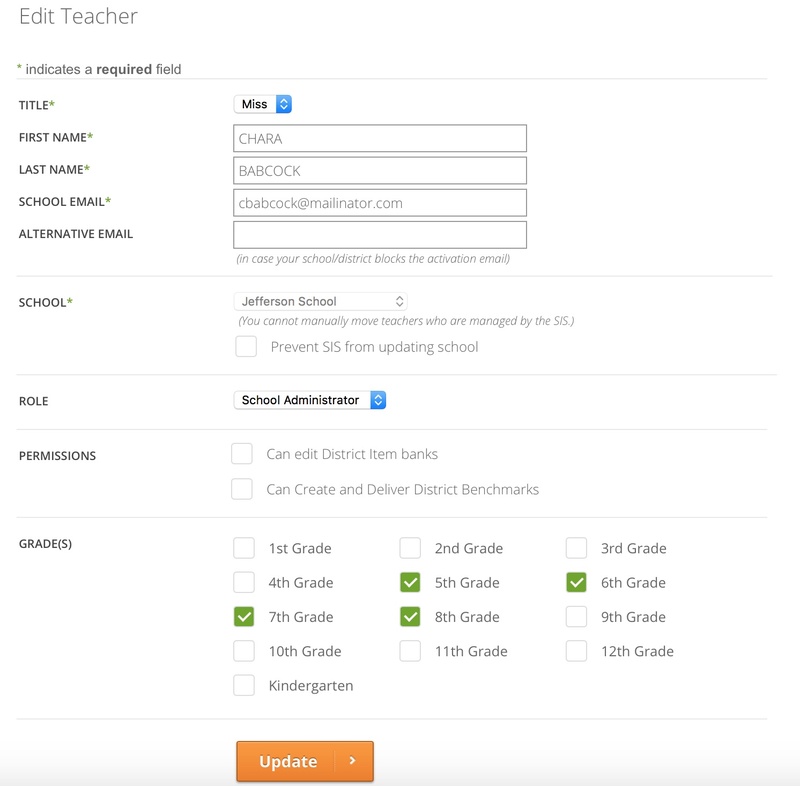 If the school is sending data to MasteryConnect via Clever, the School field cannot be edited. The 'Prevent SIS from Updating School' box is used when a teacher is assigned to more than one school in Clever. A School Admin can see all the data in a school, and a District Admin can see all the data in the district. Once you have made the changes, click “Update” to save.